Louise Farley explains that the Patient Capital Review didn’t change much for Deepbridge as the company had previously had a knowledge-intensive focus. She covers the underlying investments in Deepbridge’s portfolio, deal flow and expansion into new specialist sub-sectors of tech and life science. Farley also explains the company’s support philosophy for investee companies. 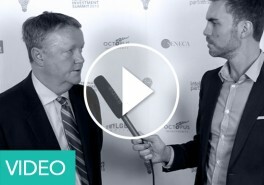 Steve Harris talks about Committed Capital’s pedigree in technology investments. 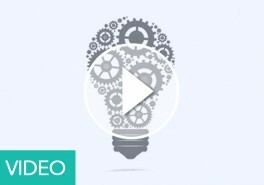 He discusses the company’s selection regime. He also stresses the importance of investing more in research and development as “R&D is a linchpin to serve the UK technology sector.” Speaking about Committed Capital’s USP, he believes that discipline and systematicity are two factors that set it apart from the competition. 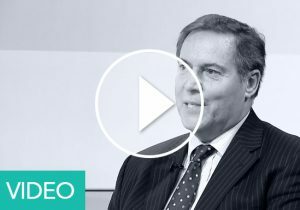 David Craven talks about Blackfinch’s shift towards technology, innovation and growth in the EIS space after the Patient Capital Review. 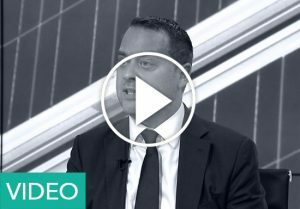 He discusses the company’s “aggressive” screening process and the underlying investments in the portfolio. Craven stresses Blackfinch’s commitment to support and mentor investee companies on a more personal level. Looking into the future, he would like to see more cooperation in the EIS world to attract more capital and elevate the UK’s position in the tech space. 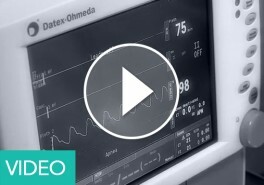 James Faulkner comments on the market implications of the Patient Capital Review. He then discusses knowledge-intensive companies in Vala’s portfolio and its selection process. Faulkner stresses Vala’s commitment to mentoring and helping investee companies through to exit. He also signals the need for greater digitisation of the administrative process of EIS investing. 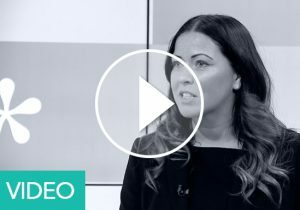 Guy Tolhurst from Intelligent Partnership interviews Louise Farley, Head of Business Development at Deepbridge. 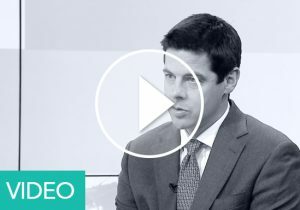 Farley explains why Life Science and tech innovation has been at the heart of the company’s alternative investment products, and how its application of patient capital enables Deepbridge to support companies from SEIS to EIS stage. She then goes onto discuss benefits of renewable energy in its IHT offering and the company’s expansion in this field. She also touches upon the possible changes in the competition between managers brought about by the Patient Capital Review. 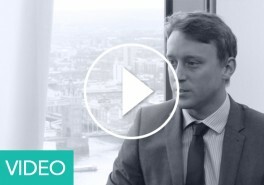 An interview with Matt Dickens, Investment Director at Ingenious, during the BR Showcase 2018 at the London Stock Exchange. Dickens explains Ingenious’ three key areas of BR proposition: media, infrastructure and real estate. He then goes onto discuss the ways to attract younger investors and the future of management fees in the light of changes brought about by the Patient Capital Review. 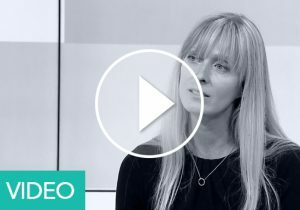 Belinda Thomas, Head of Sales and Investor Relations at Triple Point, talks to Intelligent Partnership during the London BR Showcase 2018. 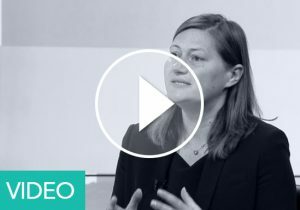 She talks about the Impact EIS Service, how it blends financial and social impact returns and the ways to measure the effectiveness of social impact investments. Thomas also covers the rationale behind Triple Point’s BR strategy and pins down three main reasons to look into BR. The interview concludes with a consideration of the future of the annual management fees. 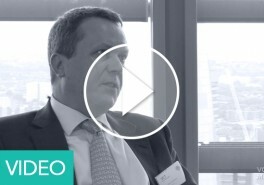 Guy Tolhurst, Managing Director of Intelligent Partnership, talks to Tom Attwooll from Oxford Capital during the BR Showcase 2018 at the London Stock Exchange. 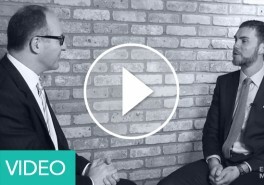 They discuss Oxford Capital’s IHT solution and its three tenets: flexibility, control and performance and what it means for advisers and investors. Attwooll also covers the company’s renewable energy investment opportunities in its estate planning proposition. 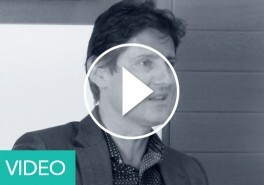 Will Fraser-Allen from Albion Capital discusses its Top Up Offers and their dual positioning as a long-term savings product and investment into growth businesses, true to the spirit of venture capital. He talks about the diversity of their broad portfolio and the gradual move towards tech and businesses services, as opposed to any pivot. He argues Albion’s experience is invaluable in backing the right companies, particularly given 2017/18’s forecast record VCT fundraise. 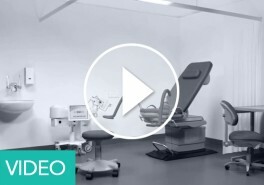 Laurence Callcut from Downing talks about increased choice in the VCT market and expands on its offering from a cutting-edge healthcare VCT to its Downing ONE VCT, still containing investments dating from 1997. He goes on to discuss EIS, and the ‘direction of travel’ towards tech and innovation, as well as the structures he’d like to see to increase follow-on funding. Kealan Doyle explains Symvan’s California-style approach to venture capital, saying that Europe is behind the curve but things are changing. In a conversation grounded in the venture capital industry’s shift during the last five years from an asset-backed to growth focus, he talks about Symvan Capital’s life-cycle approach from seed to later-stage funding rounds, why it focuses on B2B tech, its progressive fee structure and the “inventive streak” in the UK. 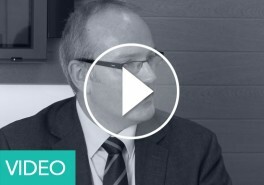 Gordon Pugh discusses Blackfinch Investments’ Asset Focused EIS and Media EIS Portfolios, including how construction still offers a route to asset-backing and the interesting new area of offshore supply vessels. 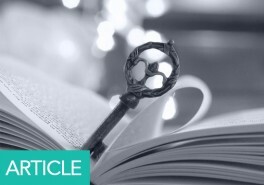 He talks about the diligence of Blackfinch’s approach to receiving Advanced Assurance from HMRC, sometimes receiving this as quickly as a fortnight, and why ‘capital preservation’ is a misnomer: all investments seek to balance a risk return profile. 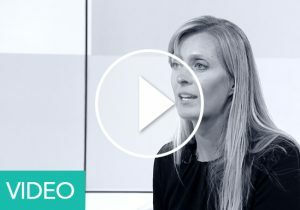 Louise Farley expands on Deepbridge Capital’s position as a ‘business builder’, underscored by its management team’s background, and how that translates into its investment strategy. Also touched on are demystifying ‘life sciences’ for advisers and their clients, and increased interest in investee businesses as the public focus shifts from tax reliefs to growth and innovation. 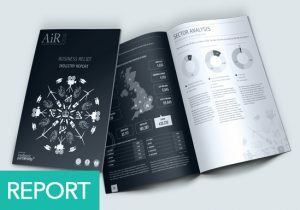 She talks about increasing diversity in the industry – from business angels to company founders – and a collaborative effort to back British business. James Faulkner uses Oxford Capital’s high-tech and high-growth focus as a jumping-off point for how increasing asset values have driven demand for EIS. On deal flow, he doesn’t believe there’s a lack of quality deals in the market, but sourcing the best of the best is still key. In a changing landscape, adviser education is important, and consequently so is manager clarity on strategy, investment process and when tax reliefs will kick in. 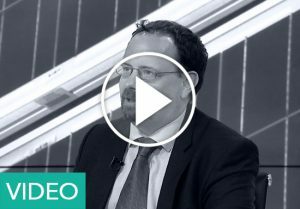 Nick discusses the underlying assets of their Inheritance Tax Service, including their investment into renewable energy schemes such as solar power, wind power and anaerobic digestion. Their other main investments include financing the roll out of smart electricity meters and schools and hospitals built and financed under the Private Finance Initiative (PFI) and acquired in the secondary market. He then goes on to discuss what makes Government focused initiatives suitable for estate planning and Foresight’s position in the BPR market. He also gives some insight into the fee levels in BPR and Foresight’s aim to provide investors with predictable, low volatility investments, using 3 key assessment criteria. John gives an insight into the impact of the recent EIS and VCT rule changes, as well as some thoughts about what may come in the future. He talks about how the biggest impact of these (mainly EU required) changes was on those looking to management buy-outs as their exit strategy. He predicts that BREXIT will not greatly affect the regulatory environment for the next year or so while Government agencies such as HMRC are focusing on clarifying the current interpretations of the rules. As a result, possible changes will have to wait until later. Henny Dovland explains TIME Investments new smart passive product as well as how AIM has matured to allow such an approach. 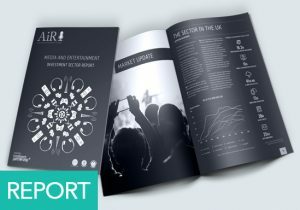 The strategy is built around the more mature, less volatile, larger AIM listed companies that qualify for BPR. She also points-out how the smart passive product can be cost effective in comparison to the active manager approach traditionally used with AIM. 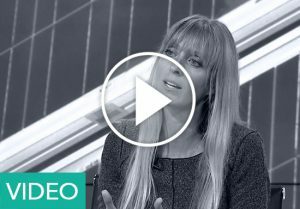 Madeleine gives an overview of Calculus Capital’s private equity management strategy. She says it is essentially all about intensive due diligence with a holistic approach that focuses on a wide range of investment factors – particularly focusing on those who manage the company they are looking to invest in. Henny Dovland gives a brief explanation of how TIME Investments use their wealth of experience to create transparent and straightforward strategies that meet their desired targets as well as achieve a number of successful exits for their clients. She also touches on Time Investments’ customer service approach that ensures client trust such as their direct payment scheme and their discounted fees in the event of a sudden death before BPR eligibility is achieved. Belinda Thomas dives into how Triple Point, the estate planning service, takes a hands-on approach in order to achieve its ultimate goal of capital preservation and liquidity. She highlights the importance of focusing on the underlying assets through their two underlying strategies: ‘Generations’ and ‘Navigator’; and how they work to successfully achieve their ultimate goals. Highlights from our recent BPR showcase event, held at the London Stock Exchange. An audience of 50 financial advisers networked with and heard from eight leading fund managers. 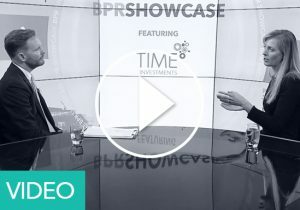 The showcase format allowed advisers to compare multiple BPR investment solutions in the space of one morning, and gave managers the opportunity to pitch their investment strategies directly to IFAs. 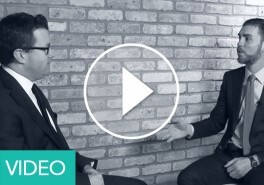 Kealan Doyle from Symvan Capital explains the rationale behind how Symvan Capital came to be, the reason for the name ‘Symvan’, and their long-term approach to investments as a ‘full life-cycle’ investment manager covering both SEIS & EIS investments. He also explains the way they work with accelerators such as Microsoft accelerator, and provides the background to their investment into companies such as Cognisess. Andrew Wolfson from Pembroke VCT (part of the Oakley Capital Group) tells us about the background on the launch of their VCT and their charging structure. He also explains why now is a good time to be investing in growth businesses and entrepreneurs. 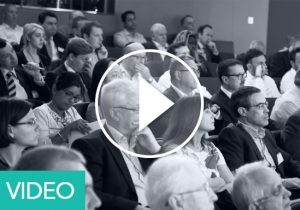 Highlights from the first EIS & VCT showcase event, held at the London Stock Exchange. An audience of 60 financial advisers networked with and heard from eight leading fund managers. 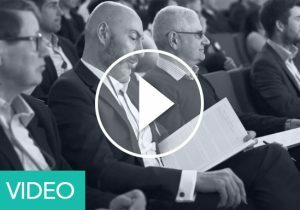 The showcase format allowed advisers to compare multiple VCT & EIS investment solutions in the space of one morning, and gave managers the opportunity to pitch their investment strategies directly to IFAs. 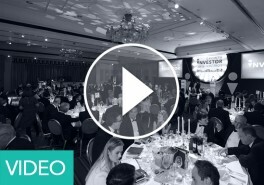 On Thursday 3 November at the Marriott Grosvenor Square Hotel, Mayfair, nearly 400 industry professionals came together for the second annual Growth Investor Awards, organised by Intelligent Partnership. 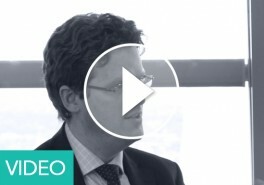 Our Managing Director Guy Tolhurst was interviewed at The Seed & EIS Hour. He spoke about his firm’s approach to training and education for the financial advisory community (IFA) community, and recognising excellence through the Growth Investor Awards. 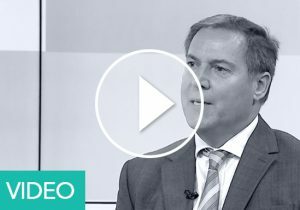 Gordon Pugh from Blackfinch discusses why there are more advisers using BPR solutions, including changes in the demographic and the trend of younger investors coming into the market. He also shares his thoughts on the political outlook and robustness of the legislation around this area. 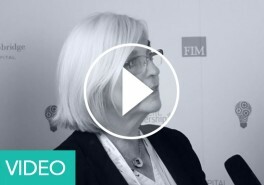 Henny Dovland from Time Investments tells us there is more awareness of BPR solutions among financial advisers and retail clients, including how they work, where to find them and how they fit into a client’s portfolio. She also reveals the stability in legislation helps build confidence in recommending BPR products and finally discusses what makes Time Investments different. Nick Morgan tells us about the background of Foresight and its BPR solutions. 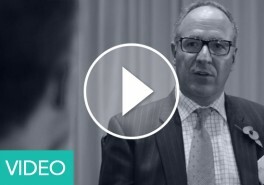 He explains the impact of the IHT changes, the lack of understanding the changes and how advisers have been pressurised by pension based planning. 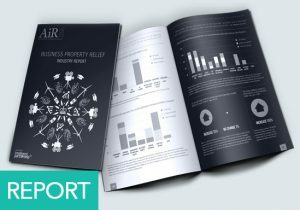 He thinks better understanding, better education, more competition and more providers working in this space are the key factors driving the demand for BPR investment products. 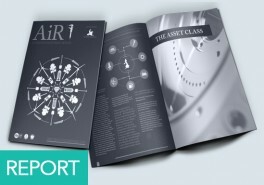 He also touches on the diversity of Foresight’s client base and the nature of its underlying investments. 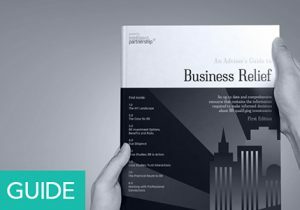 Belinda Thomas tells us about the story behind Triple Point and its BPR offers. She thinks the frozen nil rate band and new tax rules on non-doms mean more investors are falling into the IHT net and this is why advisers are increasingly using BPR based solutions. Finally, she discusses Triple Point’s leasing and lending model. 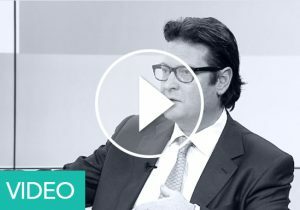 In this interview, Lawrence Callcut talks about the history of Downing and how the tax efficient investment market has developed in recent years. 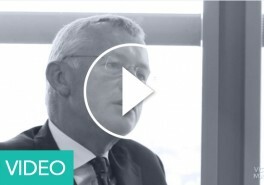 He tells us the increasing IHT take and more people becoming liable to inheritance tax are the main reasons underpin the growing demand for BPR based investment solutions and talks about Downing’s long track record in the tax efficient market. 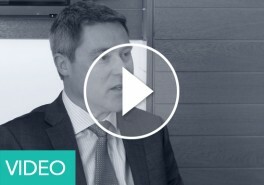 Mark Williams tells us about the background of Octopus Investments and shares his thoughts on why more and more advisers are utilising investments that qualify for BPR. 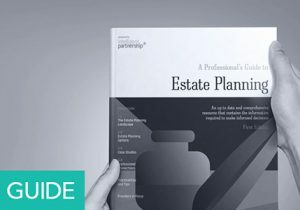 He explains why he thinks the new residence nil rate band will not reduce the IHT burden significantly, and how BPR investments align what investors want from the estate planning service to government objectives. Finally, he highlights the scale and track record of Octopus Investments. 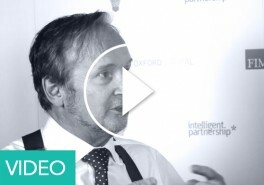 James Hipkiss talks about the business of Oxford Capital and the configurability of its estate planning BPR investment. 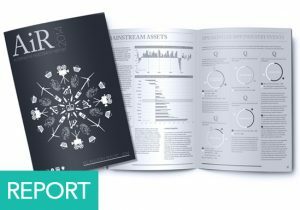 He also shares his thoughts on why BPR is becoming popular with advisers, including the growing prevalence of IHT liabilities, the ageing population and the control and flexibility of BPR for investors who experience changes in circumstance. 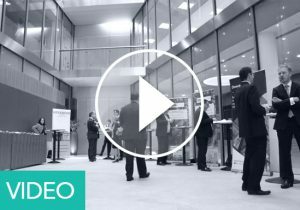 Highlights from the first ever BPR showcase event, held at the London Stock Exchange. An audience of over 60 financial advisers networked with and heard from eight leading fund managers who between them represent over 90% of the BPR investment universe. 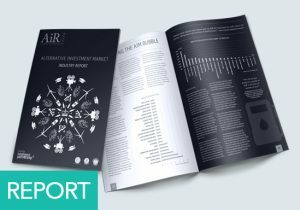 The showcase format allowed advisers to compare eight BPR investment solutions in one morning, and gave managers the opportunity to pitch their investment strategies directly to IFAs. 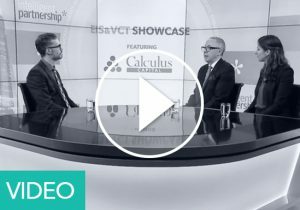 Robert Davis from Calculus shares his thoughts on the outlook for the EIS Industry and how it is responding to a number of changes in the investment environment, including changes to pensions and the rules governing tax-advantaged venture capital schemes such as EIS. Robert Davis from Calculus lifts the lid on their investment process from start to finish, telling us how they source and select deals, how they add value ongoing and how they eventually exit. Annabel Brodie-Smith, Communications Director at the AIC discusses the recent rule changes for VCTs and the outlook for the sector with Dr. Paul Jordan, CEO of Amati Global Investors, manager of Amati VCTs, Tom Thorp, Director at Foresight Group, manager of Foresight VCTs and Stuart Veale, Managing Partner at Beringea, manager of ProVen VCTs. Stuart Veale, Managing Partner at Beringea, Tom Thorp, Director at Foresight Group and Dr. Paul Jordan, CEO of Amati Global Investors discuss the new rules for VCTs and what impact they will have on their strategy with Annabel Brodie-Smith, Communications Director at the AIC. 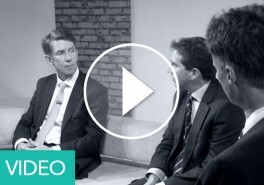 Stuart Veale, Managing Partner at Beringea, Tom Thorp, Director at Foresight Group and Dr. Paul Jordan, CEO of Amati Global Investors discuss what benefits VCTs bring to their investee companies with Annabel Brodie-Smith, Communications Director at the AIC. Stuart Veale, Managing Partner at Beringea, Tom Thorp, Director at Foresight Group and Dr. Paul Jordan, CEO of Amati Global Investors talk about where they are finding investment opportunities with Annabel Brodie-Smith, Communications Director at the AIC. Stuart Veale, Managing Partner at Beringea summarises the new rules for VCTs with Annabel Brodie-Smith, Communications Director at the AIC. 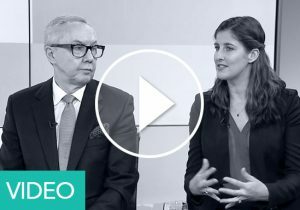 Dr. Paul Jordan, CEO of Amati Global Investors and Tom Thorp, Director of Foresight Group discuss how they select which companies their VCTs invest in with Annabel Brodie-Smith, Communications Director at the AIC. Some of the highlights from our recent EIS Masterclass held at DWF’s offices in the iconic ‘walkie-talkie’ building. The event covered the political outlook for EIS, due diligence, suitability, research into the correct level of diversification, analysis of the fees charged by EIS funds and insights into how managers put together and run their portfolios. 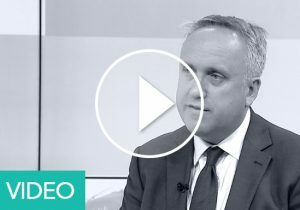 Matt talks about the driving forces behind increasing levels of adviser engagement in EIS and how the industry is responding. He also addresses the issue of supply of product, and why advisers shouldn’t be waiting for the “new renewables” to come along. We also talk about whether there are any emerging risks to the EIS scheme, and finally Matt talks about the differences between EIS funds and portfolio services. 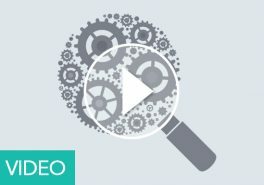 Philip gives us a unique take on how politicians view the EIS scheme and discusses the levels of awareness of the scheme among small businesses. We consider how his research indicates that there is the potential for more growth in EIS and the importance of lobbying efforts at a national and European level. Finally, we talk about what his research means for advisers and how advisers should consider it. Henny Dovland talks about TIME Investment’s new EIS offering in Dry Bulk Shipping. 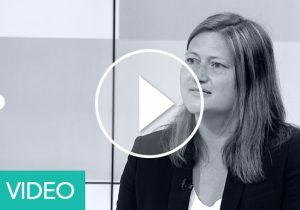 She discusses why this sector is a non-contentious fit with EIS, and why this is crucial in the light of the recent regulatory changes. Henny also covers why TIME think that now is the right time to invest in shipping and takes us through some of the other features of the product, including the asset backed nature of the investment and how that gives assurance around opportunities to exit. 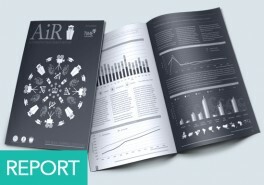 We also examine exactly how the underlying assets earn revenues, and what the best-case, worst-case and base-case returns to investors are likely to be. Finally, we cover the fee structure of the product and how the charges have been structured to allow the maximum amount of tax relief. 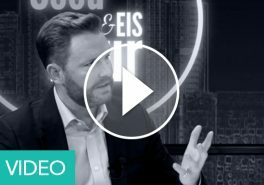 In this in-depth interview, Robert takes us through the five step process an EIS manager typically goes through to put together, run and eventually exit a portfolio of EIS investments. He covers sourcing deal flow, selecting opportunities, structuring deals, ongoing management and finally (and most importantly!) exiting investments. 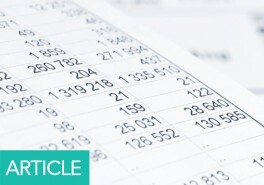 We discuss the numbers involved, the challenges encountered at each step and how EIS managers overcome them. Finally, we get his opinion on the future of the EIS scheme in the light of the recent changes to the legislation governing the scheme. 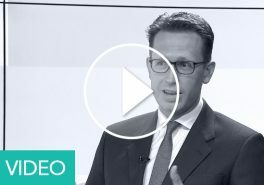 Andrew Sherlock talks about the different ways that advisers can diversify an EIS portfolio between growth and capital preservation strategies; between vintages; and between companies and cycles. He also explains how the income tax relief and loss relief puts a limit on losses, and how that works in a portfolio strategy. 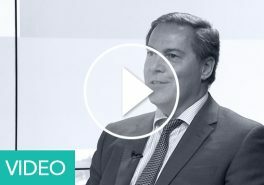 Andrew Marris covers fees in EIS and why they are higher than mainstream investments, and harder for advisers to assess. 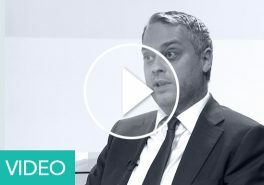 He tells us what advisers can do to dig a little deeper to fully understand the fee structures and why the fees are set up that way. We also cover the advantages and disadvantages of charging investee companies rather than investors. 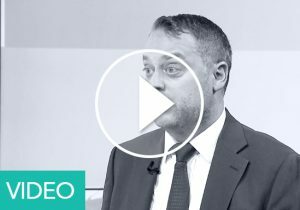 Matt Taylor discusses the tax advantages of EIS and how they can could be appropriate for a wider range of clients than many people may have realised. We also talk about why EIS is becoming so popular, the approach of HMRC, some of he risks involved in investing in smaller companies and the three questions advisers must ask when considering the suitability of their clients. 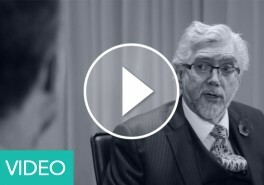 Keith Robertson expands on his three-pronged approach to suitability for EIS, discusses why advisers “parrot third party investment information at their peril” and shares his common sense hints for investing in EIS. He also tells us why he doesn’t place any faith in risk profiling tools. 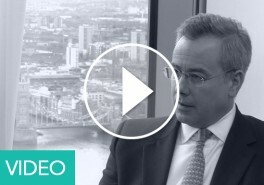 Simon Housden discusses due diligence on EIS investments. He warns us about the issues of limited availability of capital preservation EIS; the increased potential risks and returns that gearing brings; and why providers need to balance fundraising with deployment. 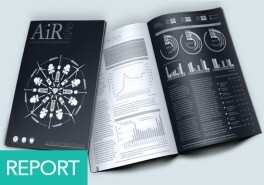 We also cover why advisers should manage expectations around investment time horizons, and the timing of tax reliefs. Andrew Brierley from PwC discusses the changes to the EIS regime that were introduced in the March and July Budgets in 2015. 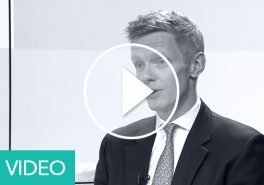 He talks about the reasons for the changes, what advisers need to consider and whether we can now expect a period of stability for the rules governing these schemes. Highlights of the EIS Masterclass at the offices of PwC in London where a sell-out audience of financial advisers and wealth managers heard presentations from Andrew Brierley representing PwC, Sarah Wadham from EISA, Matt Taylor of Rockpool, Andrew Sherlock from Oxford Capital, Keith robertson representing Armstrong Financial , Andrew Marris of MICAP, Simon Housden from TIME Investments and Jason Butler, Wealth Management Consultant. 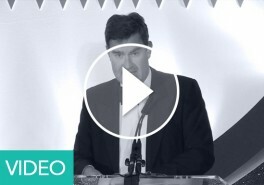 David Gauke outlines why the Government support firms investing in smaller businesses, and the importance of a healthy and dynamic investment industry that is focused on this area. 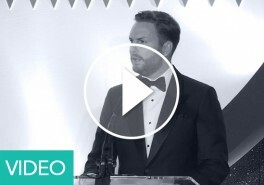 Guy’s speech from the 2015 Growth Investor Awards. 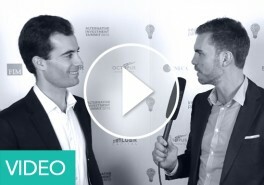 He shares his vision for the awards and tells us what he means when he talks about “impact beyond investment”. 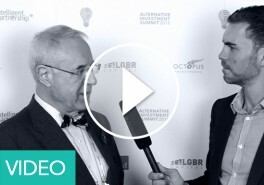 Highlights of the 2015 Alternative Investment Summit, where 218 delegates were able to network and learn from 15 panels and presentations from 36 speakers on topics ranging from growth barriers and opportunities in tax efficient investments to the adviser and investor cases for crowdfunding and P2P lending – plus insights and observations from FOS Lead Ombudsman Caroline Mitchell; Senior Policy Adviser to HM Treasury, Wyndham North; and Seven Investment Management Co-founder Justin Urquhart-Stewart. 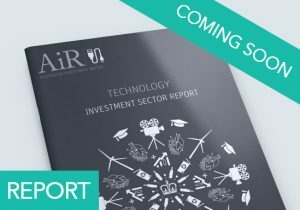 These stories of “impact beyond investment” bring to life a national campaign to highlight the importance of venture capital schemes, and evidence the industry’s contribution to the economy through job and wealth creation. 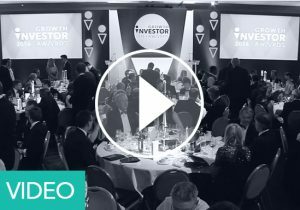 The Growth Investor Awards recognise those enabling start up and ‘scale up’ businesses to realise their full potential and drive Britain’s economic recovery. Celebrating the role of the UK SME fund management community in job and wealth creation, the Growth Investor Awards recognise those enabling start up and ‘scale up’ businesses to realise their full potential and drive Britain’s economic recovery. Honouring companies and individuals offering value beyond investment, an independent panel of judges looked for those demonstrating innovation in products and services; impact on investee performance; and how they are championing alternative investment. This video shows you the highlights of the evening. 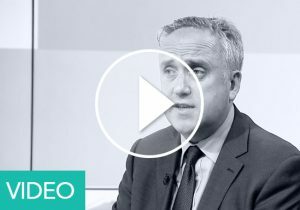 Goncalo discusses the alternative finance sector as a whole and what it means for advisers, why the new Innovative Finance ISA will be more important for debt rather than equity based crowdfunding and why the UK is miles ahead of the rest of the world when it comes to funding small companies. We also talk about what “localism” means online and what his platform does to help prevent investors being diluted at a later date. Justin focuses in on the positives of the financial services industry and whether alternative investments are better at the efficient allocation of capital. He also talks about why volatility and liquidity are as important as performance when it comes to portfolio construction and we touch on supporting small businesses and localism. 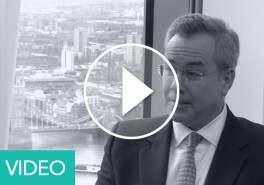 Danby tells us why some advisers should be considering more alternative investments, and how they can overcome some of the practical barriers that are holding advisers back. We discuss why having an investment committee could be a crucial step and finally we try and answer the key question for advisers – are alternatives worth the time and effort that they need to spend on them? Ian gives us his view of the current landscape for tax efficient investments in the light of changes to the rules for qualifying companies and pension limits. 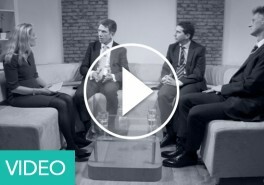 We also talk about the importance of advisers getting to know the companies they invest with. Caroline clarifies the role of FOS, the areas they examine when dealing with complaints and what advisers should do when they are contacted by FOS. We also cover complaints over alternative investments in particular and she reveals how many complaints are actually upheld by FOS. 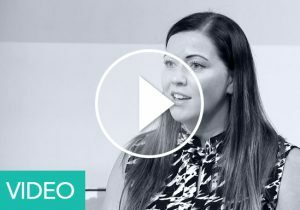 Diana tells us what sorts of clients advisers should to place into VCTs and why the traditional client base is changing and diversifying as advisers use VCTs in a variety of situations. She also explains why advisers need to look beyond the title of a VCT into the underlying basket of investments and what risks advisers need to communicate to their clients. 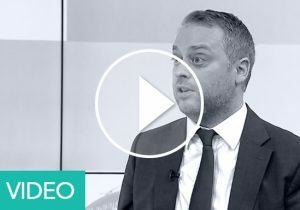 Chris discusses what advisers should be looking for from VCT managers, the investment case for AIM listed smaller companies and why advisers have justifiably overlooked VCTs in the past – and why they should reconsider VCTs today. 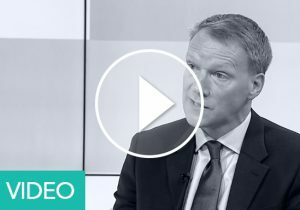 Ian tells us why advisers should consider the VCT sector, including investment performance, yield and tax breaks. We also debate if recent pension changes have given a boost to VCT fund raising, and he reveals the stats and case studies that evidence how the VCT scheme has been a benefit to the UK economy. 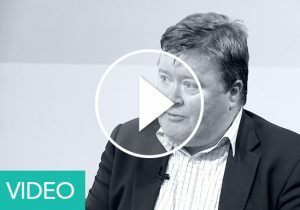 Graham reveals what he thinks the three primary areas advisers should focus on when assessing VCTs, the unique aspects of the VCT structure and how advisers can overcome the challenge of understanding the whole of the VCT market. Damian does a myth-busters on suitability reports and addresses some of advisers’ most common misconceptions. He reveals who the real bad guy is when advisers face complaints and tells us what is essential for a suitability report and what is superfluous, and then focuses in on the unique suitability considerations for VCTs. Highlights of the VCT Masterclass at the offices of DWF in London where a sell-out audience of financial advisers and wealth managers heard presentations from Will Bateman representing DWF, Chris Moakes from PwC, Ian Sayers of The AIC, Eliot Kaye from PUMA, Graham Roberts from Triple Point, Chris Hutchinson from Unicorn, Diana French from Octopus, Tony Mudd of St.James’s Place and Damian Davies from The Timebank. 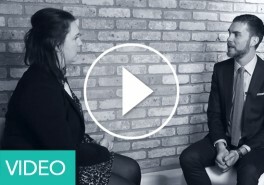 Eliot Kay tells us what advisers need to know about limited life VCTs and how they address some of the issues that disappointed early VCT investors. 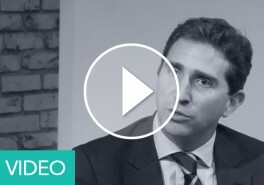 He gives us the lowdown on how debt and equity can be mixed to protect capital, the risks of a low yield portfolio and how they can be mitigated, and discusses what sort of clients advisers should consider for limited life VCTS. 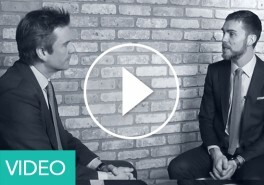 Will talks about how VCT regulations help protect investors and advisers and reveals what advisers should be looking for when they review a VCT investment prospectus. 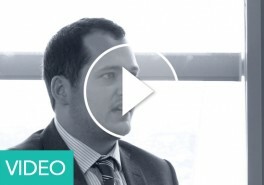 He also tells us what VCT regulatory changes DWF think advisers should have on their radar. Highlights of the BPR Masterclass at the offices of BDO in London where an audience of 44 financial advisers and wealth managers heard presentations from Tony Mudd of St James’s Place; Jason Butler of Bloomsbury Wealth; David Brookes of BDO; Simon Ruthers & Oliver Hughes of Oxford Capital; Eddie Grant & Gabrielle Beaumont of Ingenious; Justin Waine of Puma; and Henny Dovland of TIME. Jason talks about where BPR fits into the overall picture, the criteria he uses to select products and providers, whether you should ever let the tax tail wag the investment dog and the three potential changes to BPR legislation that he foresees. 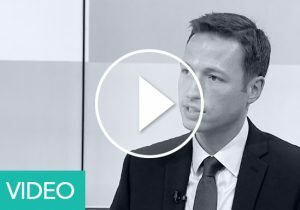 Henny discusses key questions advisers should ask of both products and the team behind them, the importance of scalability, the nature of the underlying trades, why BPR products could be essential for business owners and why BPR is a great way for advisers to add value for their clients. 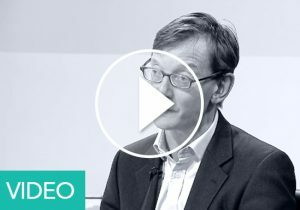 Justin shares the secrets of successful stock picking on AIM when your objectives are capital preservation and IHT relief, and gives us an insight into Puma’s BPR service and his views on any potential challenge to BPR from HMRC. 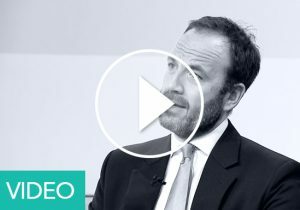 Simon discusses BPR and liquidity, how Oxford Capital structure their product to address the impact that additional liquidity has on returns, gives his views on possible changes to BPR legislation and talks about Oxford Capital’s “decency cap” on fees. David considers the popularity of BPR vs trusts, the outlook for the legislation around the relief, BPR vs EIS and the key areas advisers should look into when sourcing product. 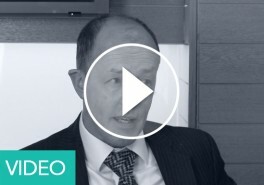 Tony discusses risk and client suitability, talks about some of the scenarios where BPR is uniquely placed to provide a solution and gives his views on the differences between tax avoidance, tax evasion, tax mitigation and tax planning. 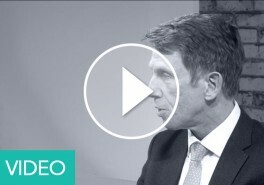 Richard Farley, CEO and Founder of Kidspace and Mark Gross, Investment Director of Downing discuss the impact of Downing VCTs’ investment. Henny Dovland, Business Development Manager at TIME Investments, points out that many renewable energy EIS investors now own BPR qualifying assets, and that advisers might want to consider BPR products for these clients as they begin to exit EIS. 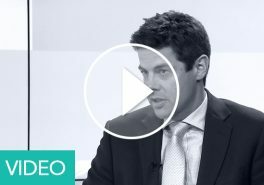 Andrew Sherlock, partner at Oxford Capital reveals that EIS investing doesn’t have to seasonal – and in fact there can be advantages to investing outside of quarter one when managers have more capacity and benefits can be accessed earlier. 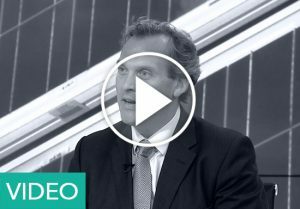 Nigel Ashfield, Managing Director of TIME Investments talks about the current state of play in the EIS market and what the future might hold now that we are seeing the end of renewable investment incentives within EIS. Sarah Wadham, Director General of the EIS Association tells us why EIS investments serve a wider purpose that goes beyond just generating returns for investors, and helps support a vital part of the UK economy. 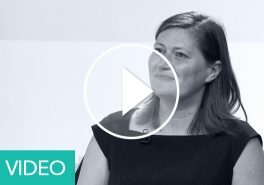 Gillian Roche Saunders, Head of Venture Finance at compliance consultancy Bovil discusses what comprises a good client file when it comes to EIS and what, if anything, advisers and their teams need to do differently. 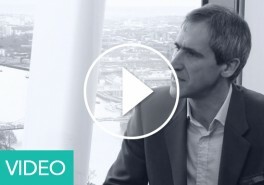 Andrew Marris, founder of MICAP discusses his reasons for entering the venture capital marketplace and what he thinks MICAP has to offer advisers who recommend EIS, VCTs and BPR based products. 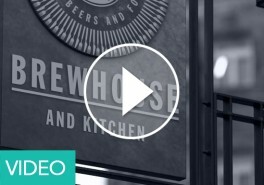 Kris Gumbrell, CEO of Brewhouse & Kitchen, Eliot Kaye, Director of PUMA Investments and Rupert West, Investment Manager of PUMA Investments discuss the impact of PUMA VCTs, investment. 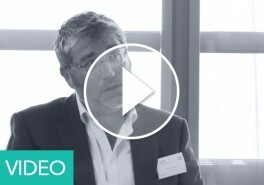 Praful Nargund, Director of Strategy at CREATE Fertility and Benoit Broch, Investment Team at Livingbridge explain how VCTs have supported CREATE Fertility. 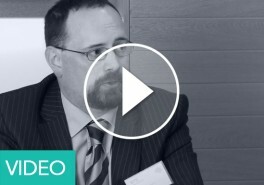 Andrew Elder, Partner at Albion Ventures LLP explains the impact of Albion VCTs’ support of DySIS. 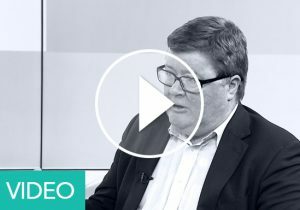 Christian Jones, Managing Director at The GRO Company and Bob Henry, Partner at Mobeus Equity Partners discuss the role of the VCTs in expanding The Gro Company. 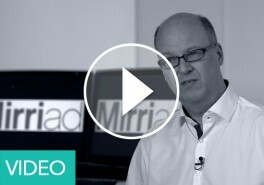 Mark Popkiewicz, CEO of Mirriad and David Glick, Founder & CEO of Edge Group explain the impact of VCT support for Mirriad and British companies. 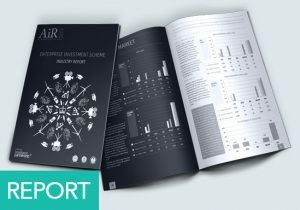 One of the biggest obstacles to investment in the EIS sector is the lack of independent, accurate performance information. Without this information advisers and investors are putting their money in a blind pool and trusting that the manager will be able to produce the kind of performance they are promising, but with no verifiable track record to assess the veracity of their claims. This episode of Straight Talk discusses the Enterprise Investment Scheme with new gaming technology outfit Play Jam executives Marco Baccanello and Bill Cunningham. 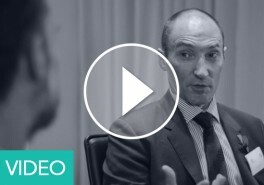 Simon Goldthorpe, Managing Director at Beaufort Asset Management discusses the importance of due diligence and getting over obstacles as an adviser. CEO of Bramdean Asset Management and Chairwoman of Rockpool Investments Nicola Horlick discusses her thoughts on alternative investments. 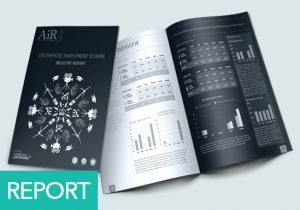 Following Intelligent Partnership’s previous paper “A Review of the Advantages of EIS Investing, with a Focus on Using a Portfolio Approach”, this article examines the possibility of re-investing the gains from EIS investments in other EIS offers. 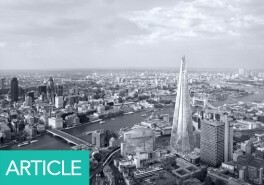 Lawrence Gosling and David Stevenson investigate the best way of investing in younger companies – should we use venture capital trusts, or invest directly with a venture capital firm or even a private equity fund? 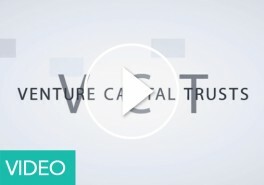 What are the risks with each method of investing , and is a focus on the tax advantages of venture capital trusts a sensible move for private investors? 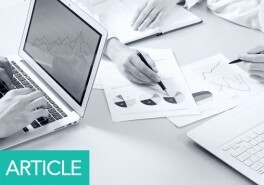 Investing in Enterprise Investment Schemes (EIS) is becoming an increasingly popular option for investors seeking to take advantage of the tax benefits. 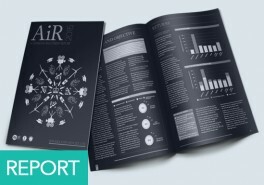 The market was estimated to be worth £500m annually in 20111 and is forecast to grow to £1bn annually by 2014. The Enterprise Investment Scheme (EIS) is designed to promote investment into smaller high-risk companies. Over £7bn of private funding has been raised into EIS companies in the 20 years since the schemes inception in 1994. 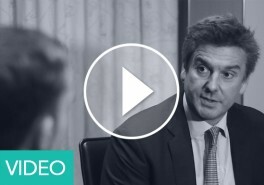 The first episode of Spotlight shines a light on venture capital trusts and explain why these tax efficient market listed funds have become popular as an alternative to ISAs and SIPPs. Investment Compass’ resident experts, Lawrence Gosling and David Stevenson, explore the tax efficient world of venture capital trusts and examine why more and more investors are looking at these adventurous investment funds as an alternative to an ISA or SIPP. 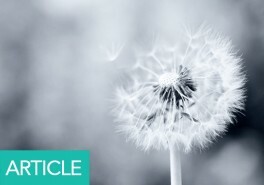 The implementation of RDR has meant that IFAs will need to be familiar with a wide range of traditional investments including alternative investments such as Venture Capital Trusts (VCTs). 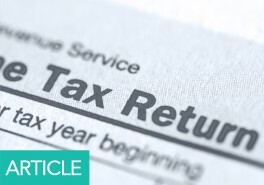 Intelligent Partnership’s Luke Jackson has written an article that provides an introduction to VCTs and the tax advantages that are available for investors as part.